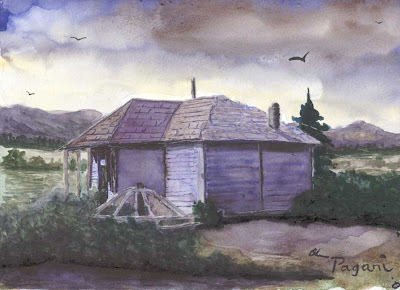 It's the ancient, run down Camp Creek School House in watercolor. I love this painting and I wish I knew who bought it. I'm reading: Camp Creek Old Schoolhouse WatercolorTweet this!